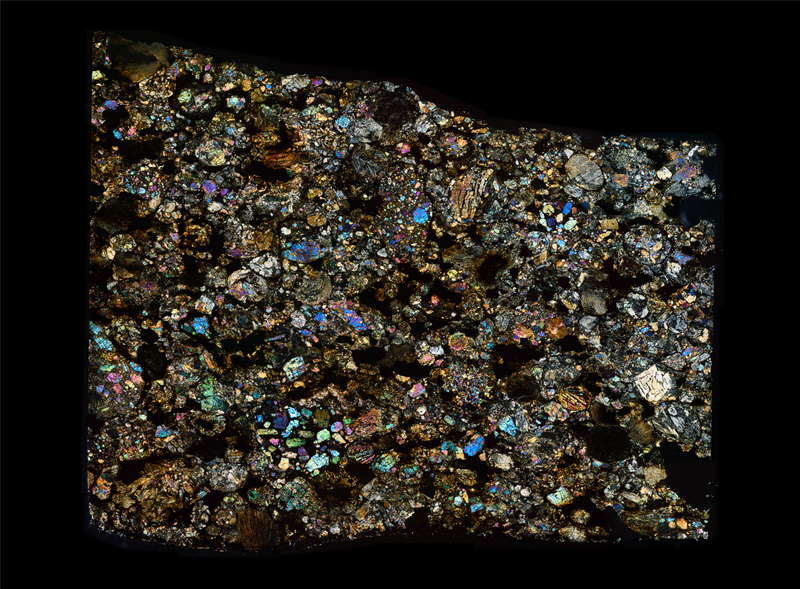 Northwest Africa 4460 is a cool looking L3 chondrite without much description in the bulletin. It does make a nice photography target and the images I took turned out surprisingly well. The scattered black inclusions are especially worth exploring.